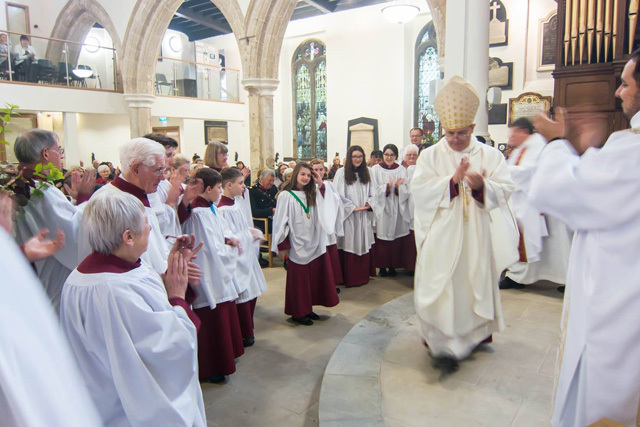 John spent a joyful morning at St Giles', Pontefract on Sunday to be part of the Grand Re-Dedication Service. Walker Cunnington Architects has worked with the church for the last six years to develop a deep understanding of the life of the church, community and their building. 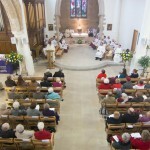 From this a design approach evolved that was described as an "inspirational reordering of this church". 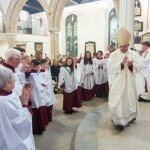 The service was celebrated by The Lord Bishop of Wakefield, The Rt Revd Stephen Platten and attended by no less than five former clergy as well as guests from partner organisations locally, regionally and nationally. We're really proud of our work here which the vicar describes as an "amazing transformation" which "will stand as a beacon for many centuries...". The Bishop was particularly impressed with the way the alterations have managed to unify several centuries of disparate architectural styles to a coherent whole.